In the month of the Maple Sugar Moon, the snow's too wet for angel making, icicles rain from Grandpa's porch roof, and something is stirring in the woods. 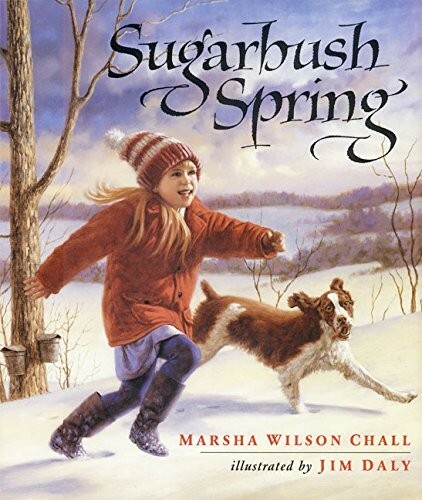 It's sugarbush spring -- time to tap the trees, prepare the bottles, then gather round the cook fire to eat chicken and dumplings, roast marshmallows, and tell stories while the cold sap heats through, thickens, and boils to make syrup. Chall's timeless story and Daly's glowing paintings invite children to share in the pleasure of making maple syrup -- a process that's the same today as it was two hundred years ago.